We do Lynx grill repair! Fast, convenient and professional service! Lynx makes some of the best kitchen equipment in the world. They make high quality, top performance barbecue grills. We specialize in all aspects of Lynx grill repair, cleaning, and restoration. We know everything there is to know about Lynx brand and all of its models of barbecues and outdoor kitchen equipment. Our technicians are factory trained and certified. They do an excellent job on product maintenance, diagnostics, repair and customer service. No matter how complicated or simple your Lynx BBQ problem can be, we can help you to get your BBQ working again. We have some of the most comprehensive skills out there when it comes to BBQ repair. Also, we carry all the tools and parts necessary to repair Lynx grill. Our company also provides you with the best customer service. Our technicians are not only knowledgeable but also polite, friendly and helpful. We have flexible scheduling and work afternoons and weekends. Every customer gets a accurate estimate and a FREE service call with any pair. Also, we can get you genuine Lynx parts at very reasonable prices. Plus those parts are under a 3 year warranty. We make your appliance repair experience is easy and convenient for you. Our company is BBQ Repair Texas. We are family owned, and family managed a company. Besides Lynx grill repair we also repair all other models of grills both commercial and residential. We work on gas grills, charcoal grills, portable grills, smoker grills, electric grills, patio heaters and pizza ovens. When other repair companies want to give up, we find the right solutions. Because almost all solidly build BBQ grill can be repaired and restored to its original shape! For all your Lynx grill repair, cleaning, and restoration services, please call us at 469-440-2605. We will immediately schedule a convenient appointment for you. 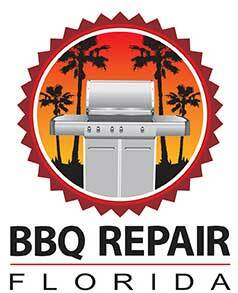 Our top BBQ repair expert will get it contact with you and gather all the information over the phone. Often he will pre-order the parts for your project. This ensures that once we come to your house for repair, we are totally ready and often finish the job in just one day. Our technician will be on his way to your house. He will bring all the tools and equipment necessary for the job. He will immodestly start diagnosing and testing your grill. Our skilled technician will take your barbecue apart and clean it out. Often he will replace the worn out parts. Then he will carefully put it back together. Our technician can quickly solve any of those problems and more. After the job is complete, he will plug in your grill and test it out for safety issues. Often when you deal with gas or propane, you have to be careful. We make sure your BBQ is perfectly safe. Also, our technician will clean up after himself and dispose of all the old parts. Finally, he will hand the grill over to you. You will be very happy with how well your Lynx is grilling. It will make a huge difference in the whole prosses of barbecuing and in how your food tastes. Why hire us to do your Lynx grill repair? We are number one when it comes to skills and knowledge in connection with Lynx grill repair. Our technicians are all factory trained and certified. They know everything about older models that are 20 or 30 years old as well as the brand new models that just came out this year. They are always educated and on top of all the new BBQ grill technology. Because of this knowledge and experience they work fast and do the job right! Our customer service is excellent as well. You will be happy, and your Lynx BBQ grill will be working just like new! For Lynx grill repair, please call us at 469-440-2605! Or fill out of short online form! Besides Lynx grill repair we also do all the other brands such as Alfresco, Capital, DCS, Fire Magic, Kalamazoo, TEC, Thermador, Twin Eagles, Viking, Weber, and Wolf. We do gas barbecue repair, smoker barbecue repair, electric barbecue repair, portable barbecue repair, charcoal barbecue repair, freestanding barbecue repair, built in barbecue repair. We also repair, install and clean outdoor kitchens, cooktops, pizza ovens, sinks, outdoor refrigerators, wine coolers, dishwashers, beer taps, smokers, hibachi grills, warming drawers, patio heaters and much more. We will be happy to hear from you about any of your outdoor appliance needs! Lynx makes some of the best kitchen equipment in the world. They make high quality, top performance barbecue grills. We specialize in all aspects of Lynx grill repair, cleaning, and restoration.